I never thought I'd say it, but I could have stayed longer. At the beach. In a tent. With three noisy kids. We have graduated from the world of "Camping is Hell", and moved into the joy of "Camping Rocks When Your Kids Get Bigger". So people, if you tried camping with littlies and came home vowing never to return... just give it a few years. Camping can be cool. Of course it helps having a powered site. And Christmas Lights. Having the right gear (and a great campsite) makes a big difference. These snaps were taken with my camera on our last morning. If you look carefully you will see that there's even a fridge. Just a little one, sure, but still. A fridge when you're camping. Brilliant. 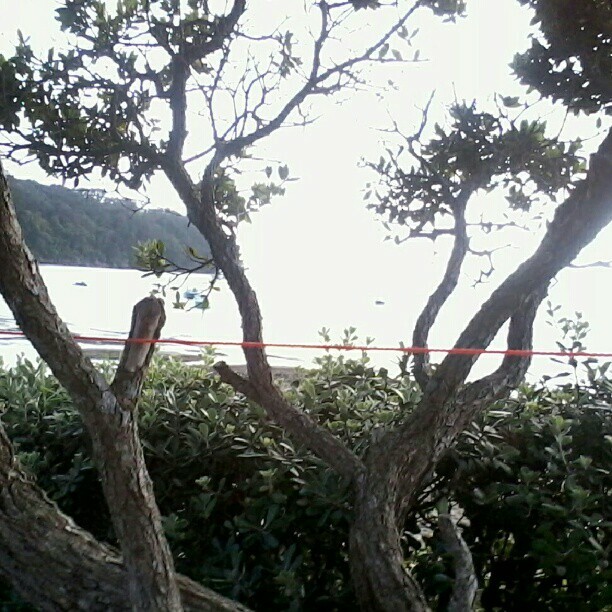 This is one of our clotheslines, strung up in the pohutukawa tree, next to the hedge that separated us from the beach. Beachfront, people. It's the only way to go. Of course it looks a little dull and grey, but don't be fooled by that. The sun would burn off the cloud within an hour and blue skies reigned supreme for the whole nine days. Except that first night when Mr G was out in the weather securing the tent from leakage, adding extra guy ropes and tarpaulin flies... He's a great camper that man. 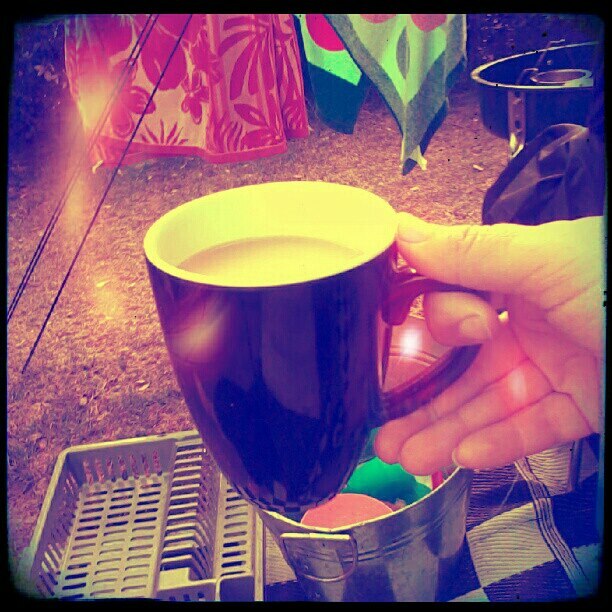 A cup of tea in the morning. Only way to start the day. And with an electric kettle, well, it was just too easy. 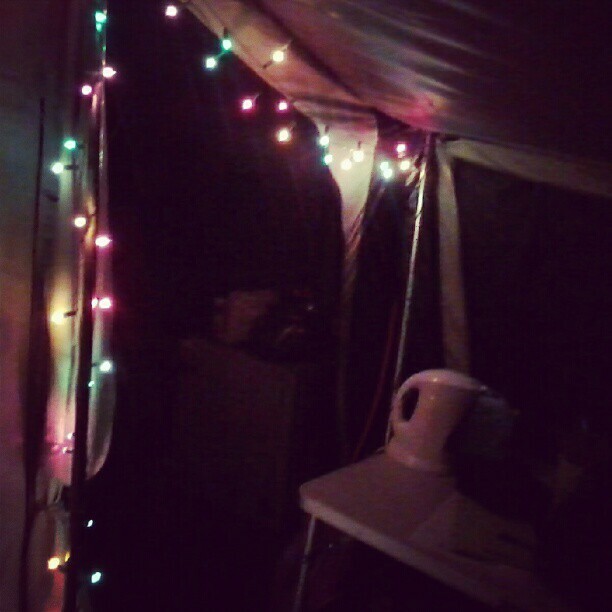 I mean, look how cute my tent kitchen bench is? Those melamine mugs and spotted cutlery really brighten up the place aye? I just can't camp without a bit of cuteness. 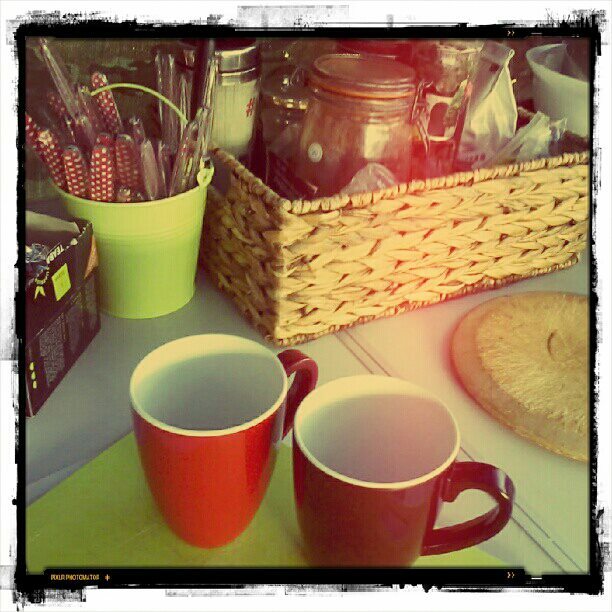 We didn't use the fully equipped campsite kitchen once. At least not for cooking. The kids did the dishes there a few times, but I preferred to fill up my tin bucket with water from the tap (conveniently located right next to our tent) and sit in the shade doing the chores al fresco. I like a few home comforts, but I also like to know I'm camping, aye? 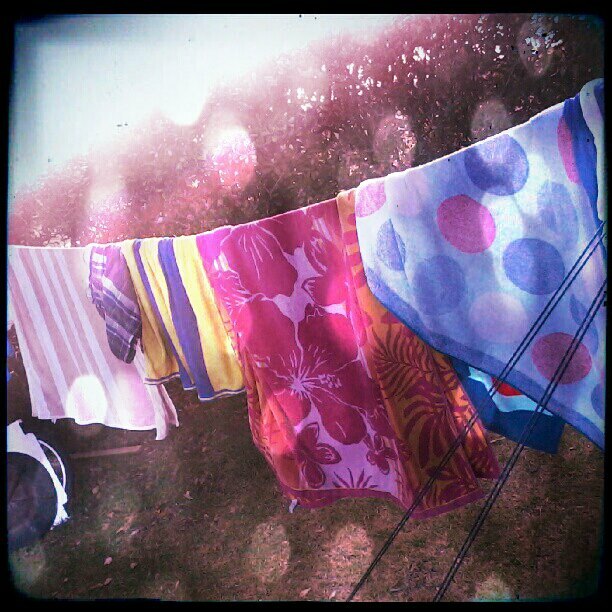 Nothing says "camping by the beach" like a guy-rope strung with beach towels and swimming togs. 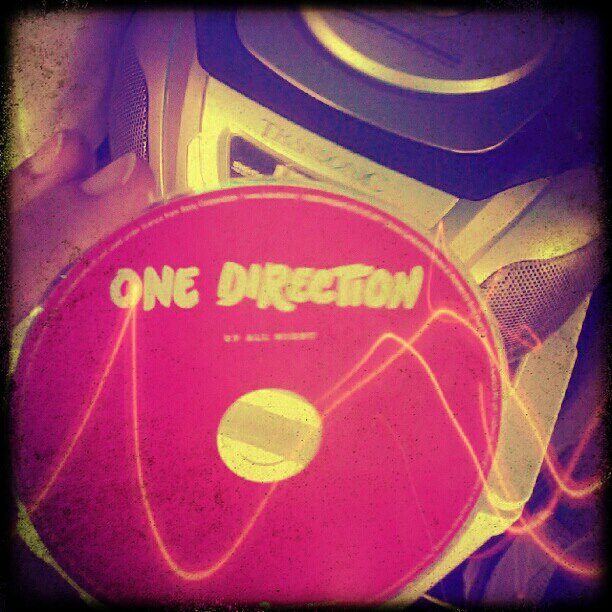 This was the soundtrack of our holiday. Scrag was our DJ. He is 1D mad. (Don't feel sorry for me. i hate to admit it but I kinda like them too). 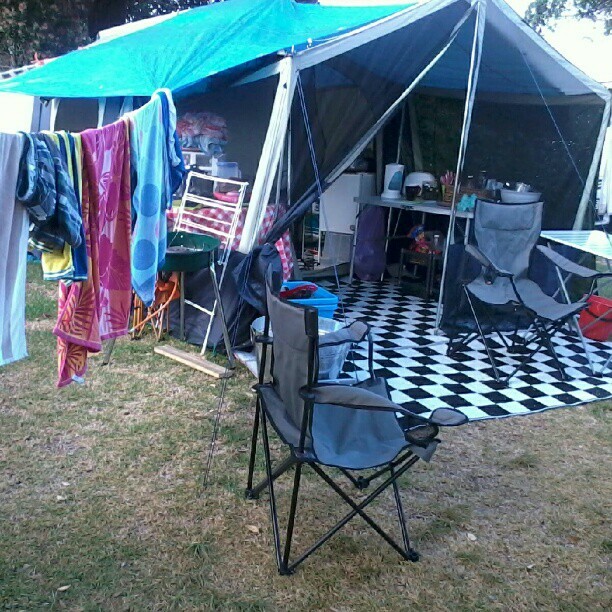 I think our tent-neighbours might be glad we've packed up and gone though. They didn't look the One Direction fanclub-type. Here's the DJ. He would stay "Up All Night" and then sleep in, in the morning. He picks the day we leave to snooze the longest. 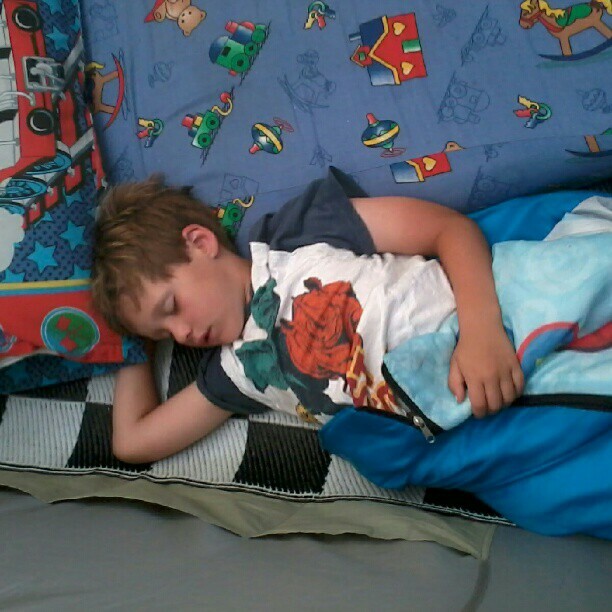 We were packing up the tent all around him and he just kept on snoozing. Bless. This playground was on the other side of the hedge. 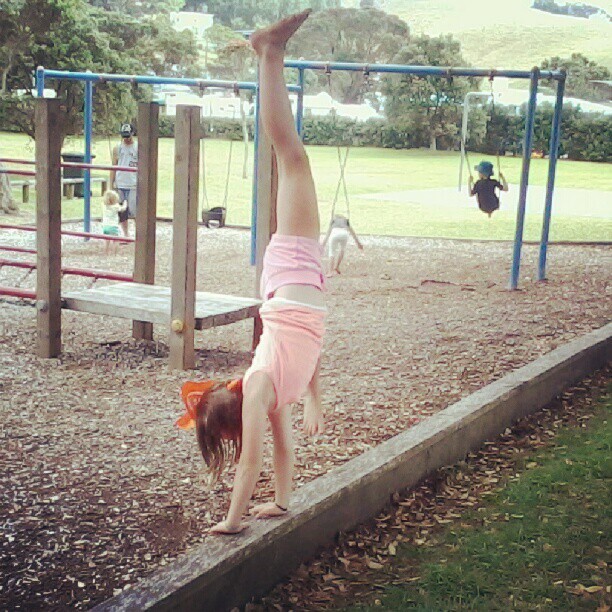 Here's Miss Fab doing her cartwheels. On the beam. She's amazing. So there we have it, a brief "Hi I'm Home and I survived the Camping trip" post from me. Sooooon I will retrieve my missing battery from the BopIt and download the PROPER photos I took. 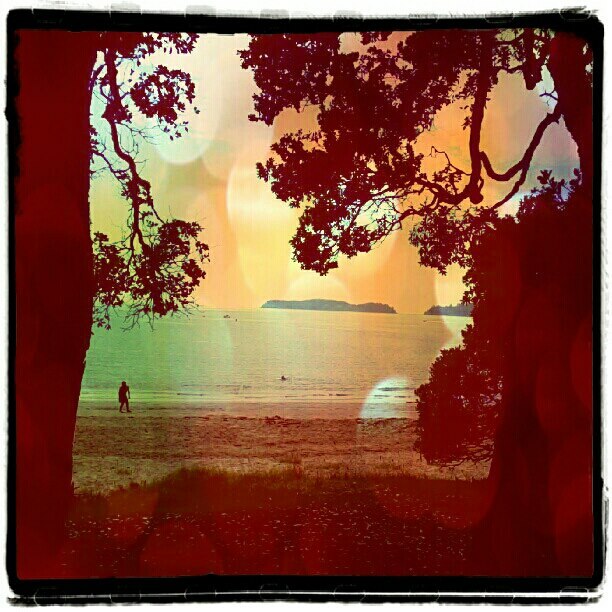 The ones that show the gorgeous beach and fab location. But not today. Today I need to do some unpacking and some washing. All those beach towels really mount up. P.S. Are you on Instagram?? 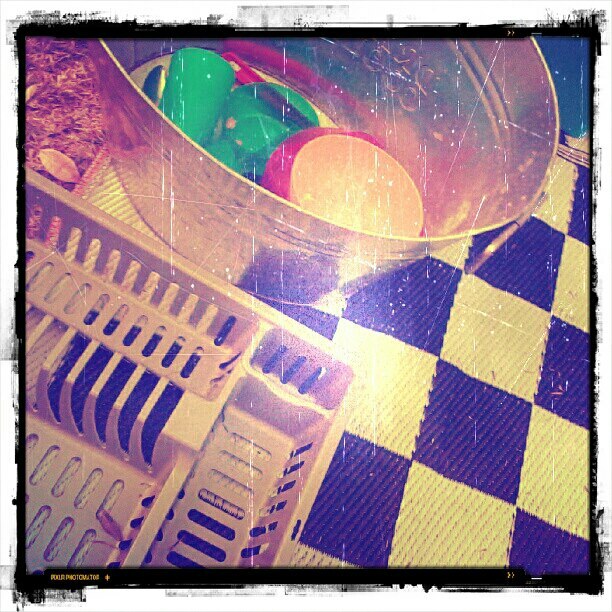 Find me and follow me (http://instagram.com/greatfun4kids/) and I'll follow you back. Wow, it looks amazing! 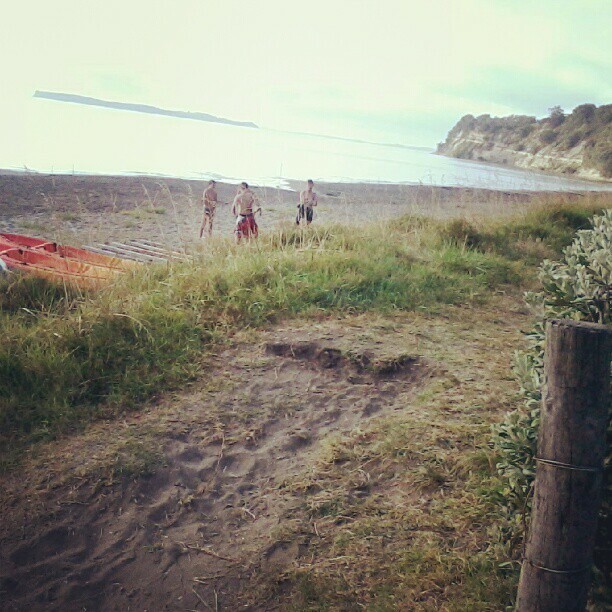 And it makes me determined to go camping next summer in NZ! Thankfully we still have our tent and camping gear. Love your camp set up and what a beautiful location! !